Last year, my family began a remarkable holiday tradition by welcoming Sapphire, our Elf Magic elf, into our home. You see, Santa Claus allows a few of his elves to visit the homes of good little boys and girls each year after Thanksgiving. On Christmas Eve, he stops back by and picks the visiting elves up on his way back to the North Pole. Riley has become very fond of Sapphire and misses her throughout the year. The last time Sapphire made a special visit was during the Easter holiday, but now she's back again...and this time, she's brought a little friend with her! What makes elves from Elf Magic so special is that each and every night, they come "alive" and have all sorts of amazing adventures. Last year, Sapphire was caught hanging from the ceiling fan while dressed as a super hero, playing in a roll of toilet paper, having tea parties with Riley's dolls, and so much more! Riley was so excited each morning to track down Sapphire and find out what she had been up to during the night. Seeing Riley's glee and laughter was always a wonderful way to start the day. Now Sapphire has enlisted the company of her North Pole buddy, Sesame, a Magical Reindeer. While Sapphire came to us with her name given to her, I had the chance to name Sesame myself. Since I wasn't sure whether Riley would want a boy or a girl reindeer, I thought I'd pick a name that could go either way. Also, "open sesame" is a magical phrase which captured the magic of her new friend. Finally, "Sapphire and Sesame" just sounded too cute together. Not only did Sesame arrive this year with his best buddy, Sapphire, he came with a Reindeer Round-Up of goodies. Now, Riley could dress up Sesame in these unique Christmas duds, just as she's enjoyed doing with Sapphire. Riley was so excited to see the two of them, that she danced around with happiness and hasn't let either of them leave her sight for a minute. The memories that have been made with Sapphire thus far are priceless and it's given my entire family something new to look forward to during the holiday season. 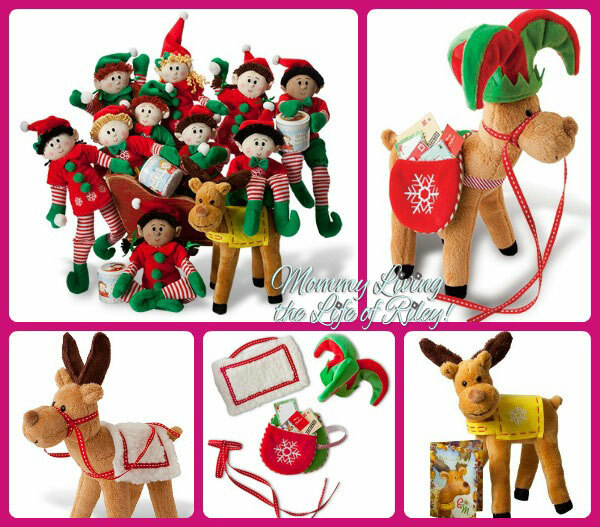 If you'd like to create an endearing and heartwarming family tradition with your clan, then be sure to bring a little Elf Magic into your home! Disclosure: I received the products mentioned above from Elf Magic in order to facilitate my review. No other compensation was received. This product review is based on my own personal experiences with this item and is completely honest and objective. 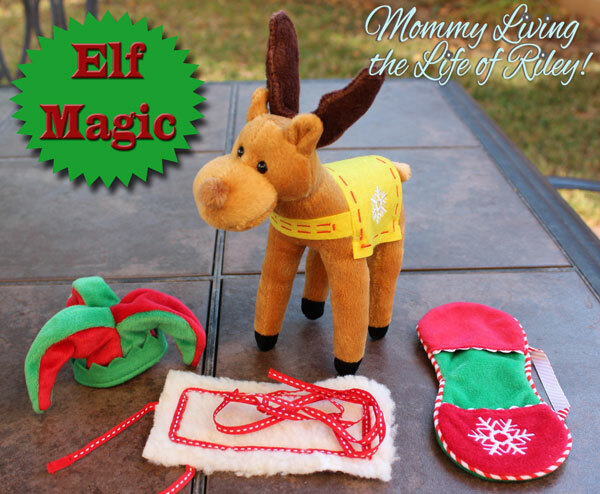 I love this Elf, So interactive with the kids, love the reindeer also. 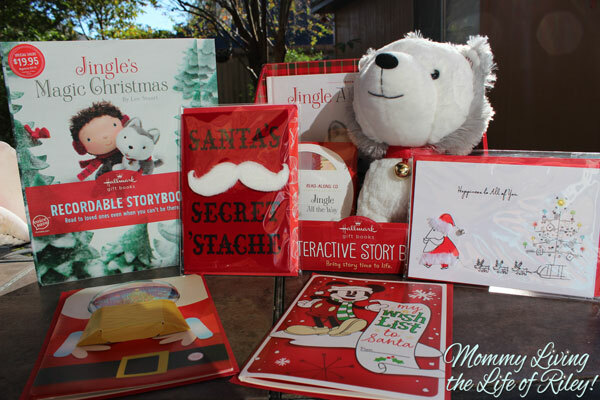 Such a great ideas thatcan make the kids feel more a part of the holidays. Thanks for the review. Is the reindeer poseable? Can he wrap his legs around things to hold on and turn his head? Great question! Unfortunately, no he’s not poseable. He stands pretty well, but is basically a plush animal without any movable parts. Thank you so much for the quick response. I could not find that information anywhere!